Please note this information is primarily a reminder for members and to give interested members of the public an idea of what we do as a group. Some events listed here may be open to non-members, but if you are interested, please note that booking is essential – please contact us if you would like further information. 2 to 6 May – Twinning Weekend- just in case it has slipped your mind! 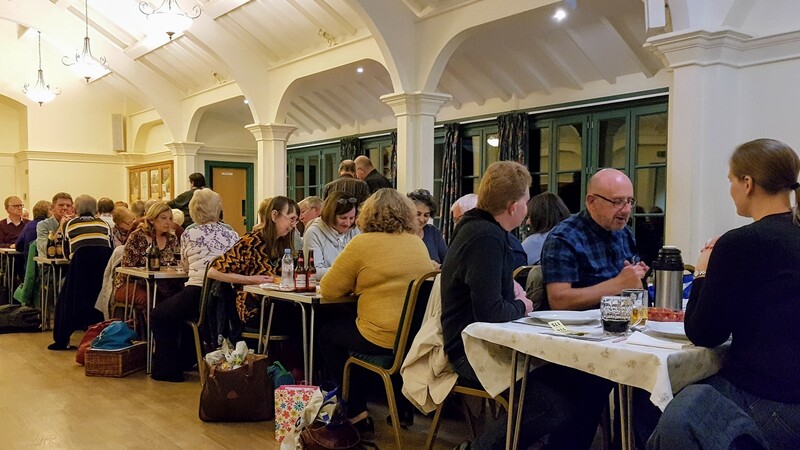 Teams of up to 6 people took part in the French/German Twinning Quiz at the Sacred Heart Parish Hall, Droitwich Spa. 19.30h. The AGM was held at Park’s Café, Victoria Square, Droitwich Spa. Twenty-seven twinners enjoyed this social evening at Bistrot Pierre in Kidderminster -one of their Soirées Gastronomiques, which are held every month on the second and fourth Tuesdays. The menu is available on their website. Our popular Summer Lunch was held at Rotary House. Lunch, as in previous years, was a buffet with home-baked salmon, cold meats and salads followed by a tempting array of desserts. A cheese and beer pairing experience. The drinks expert, Ingrid Bauer, showcased a selection of beers and match them with a selection of cheeses. Ingrid gave a presentation about the beers and a cheese specialist answered our cheese-y questions! Film Matinée and Soirée – Jour de FêteAn amusing classic old French film by Jacques Tati in a home environment on a big TV screen. Ice-cream served in the interval and the film was followed by a natter over a cuppa and biscuit.